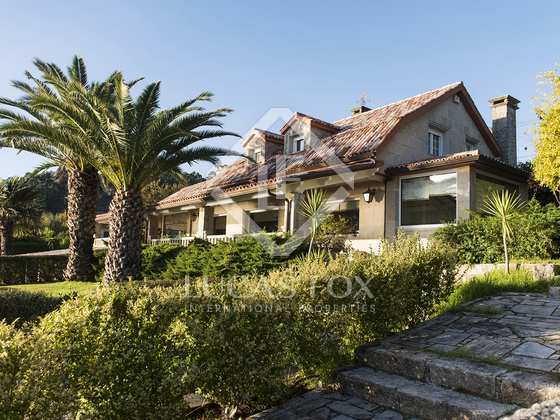 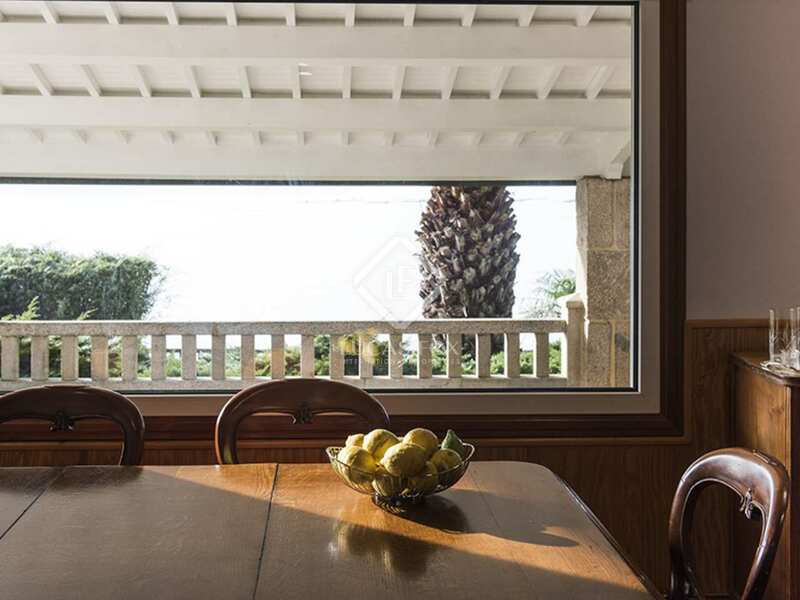 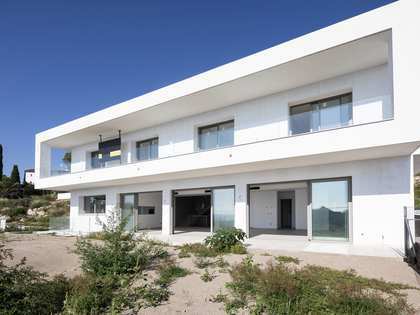 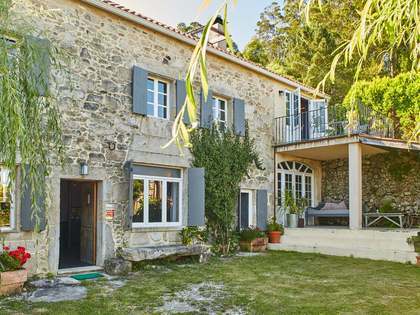 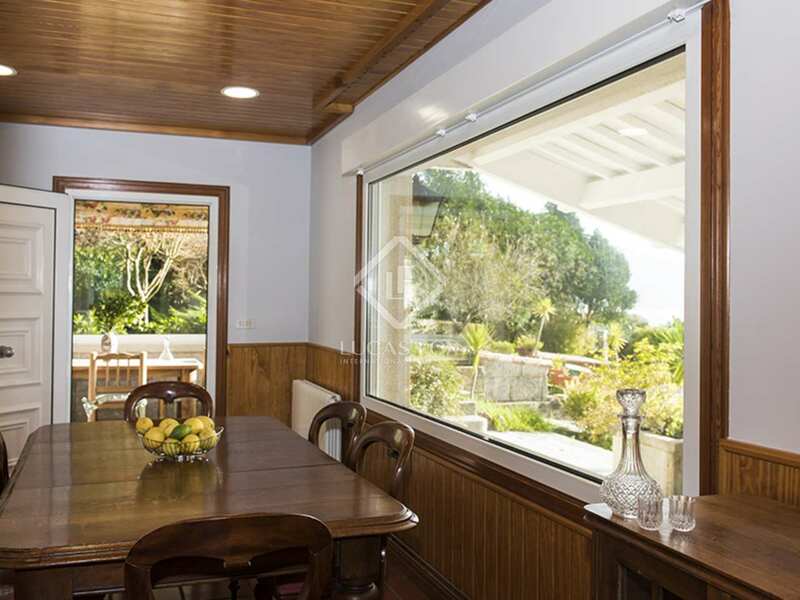 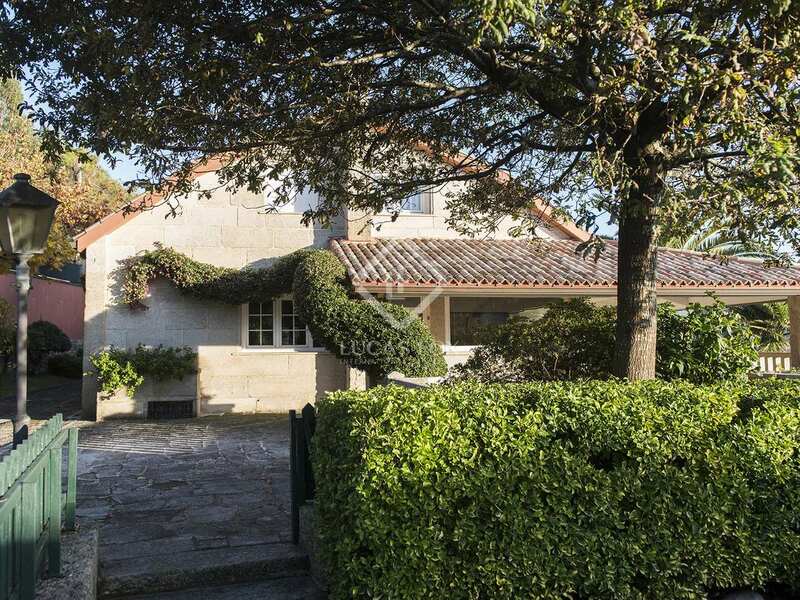 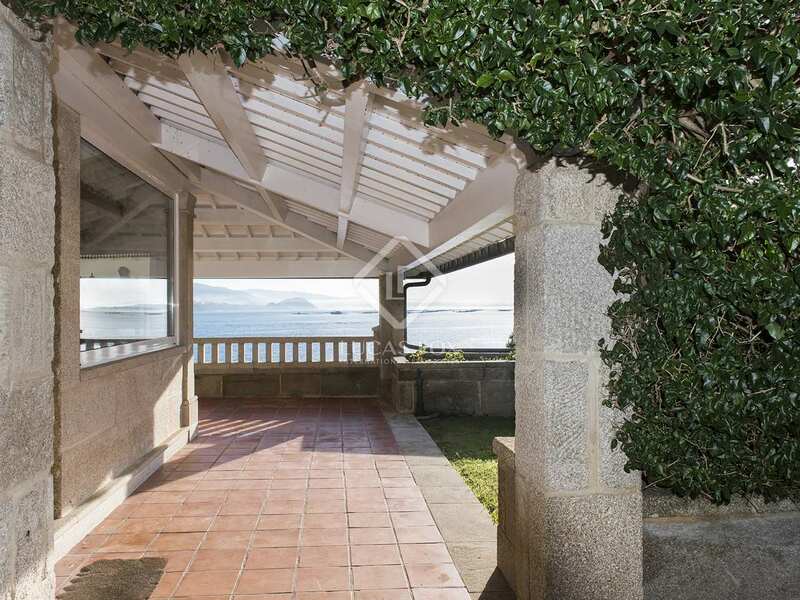 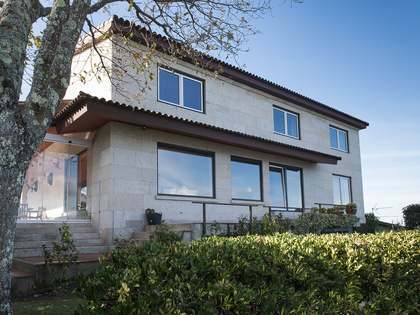 A truly privileged position in the Rias Baixas area of Pontevedra. 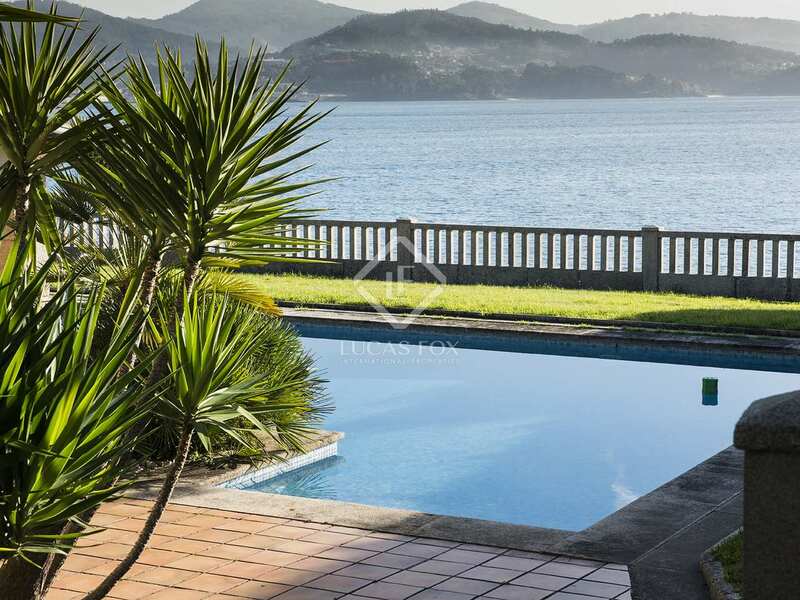 Stunning views of the Rias Baixas coastline can be enjoyed from just about anywhere in this imposing villa. 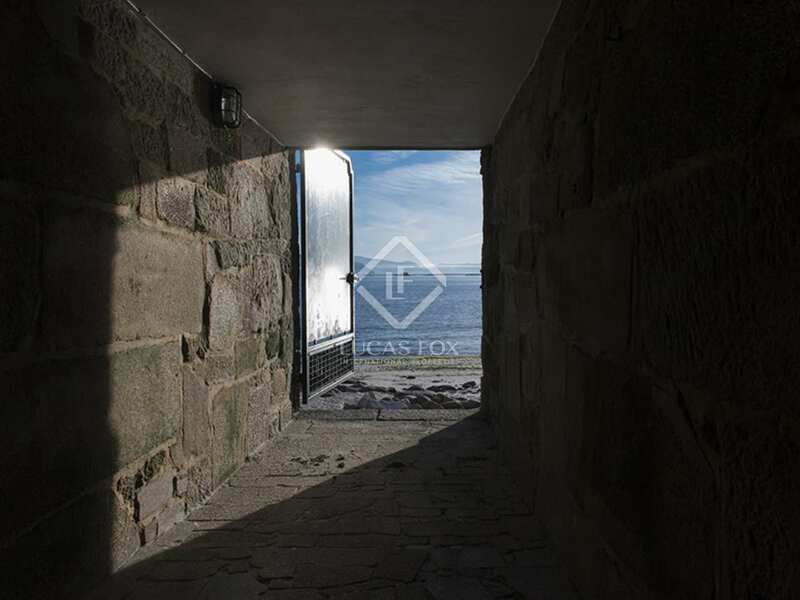 The rooms are arranged across two floors, all with a perfect orientation to make the most of the uninterrupted panoramic sea views. 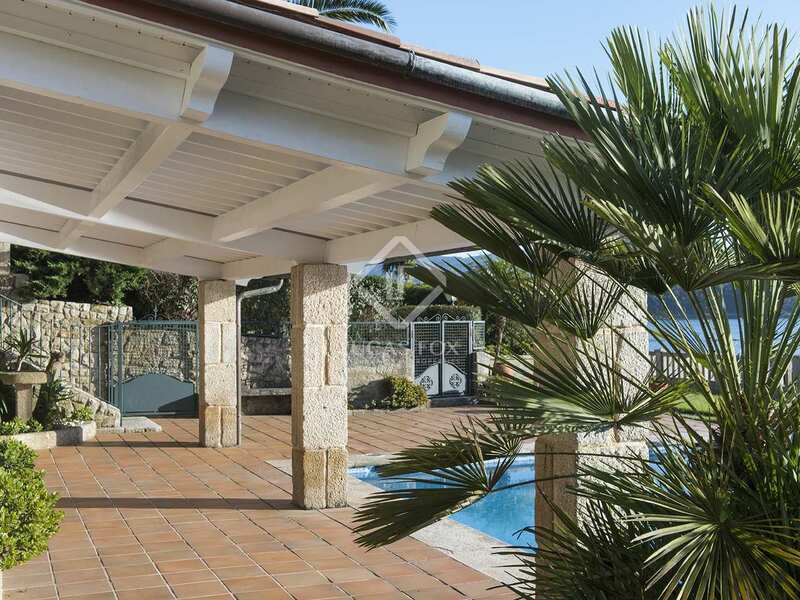 Various terraces provide a wealth of further opportunities to celebrate this unbeatable location. 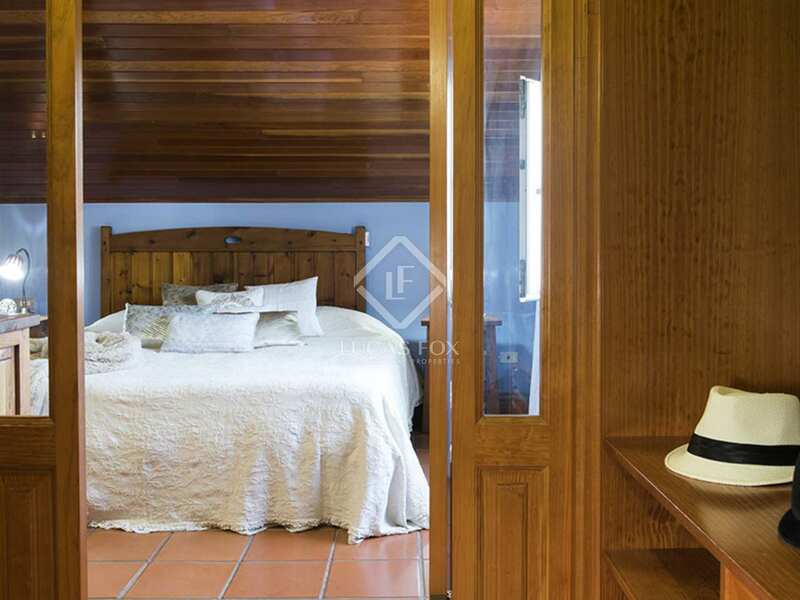 This property has easy direct access to the beach, or you can enjoy the very generous private gardens, with manicured lawns, hidden chill-out zones, quiet al fresco dining areas and shady hideaways under the beautiful palm trees — natural water fountains throughout the whole garden. 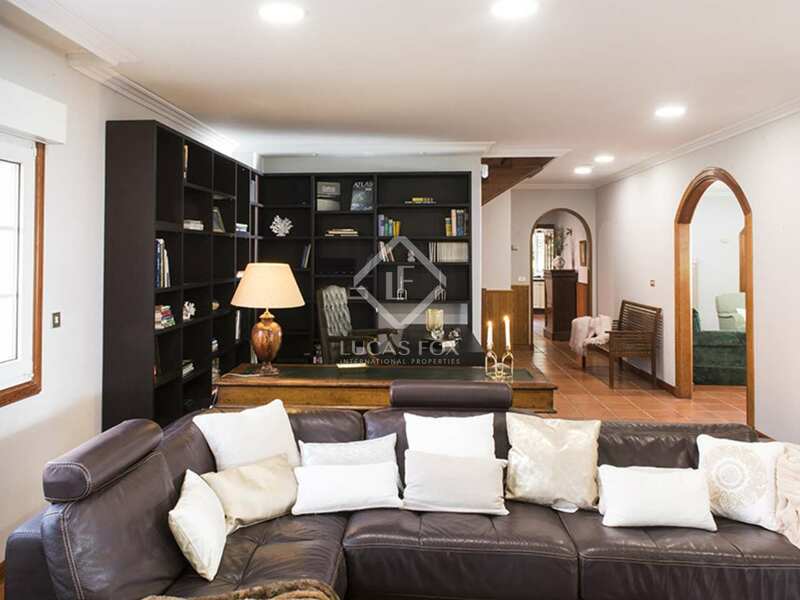 The main section of the home offers a large living room, dining area, fully equipped kitchen, a lounge, library, games room, and galeria. 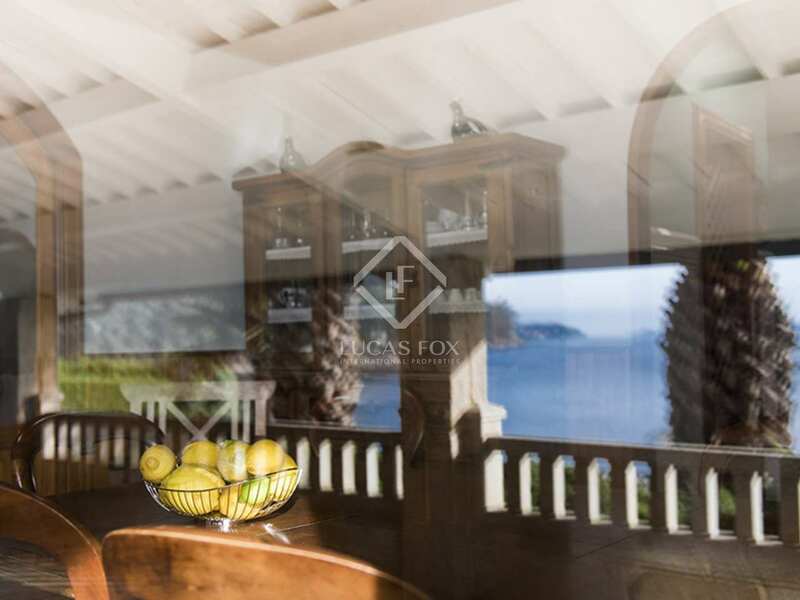 All offer extensive panoramic views of the sea and mountains. 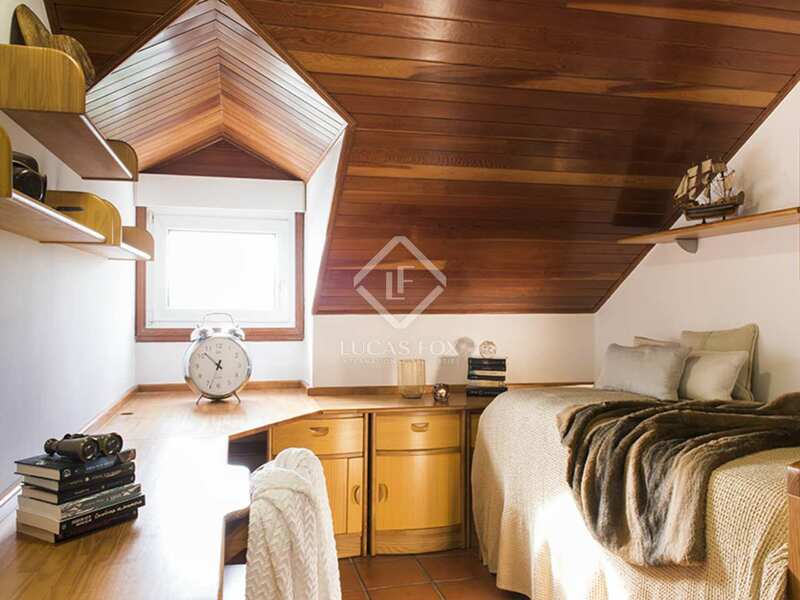 The first floor offers the sleeping section with vaulted ceilings: the master bedroom with en-suite bathroom and dressing room and another double room with en-suite, plus 2 additional double bedrooms with a shared bathroom. 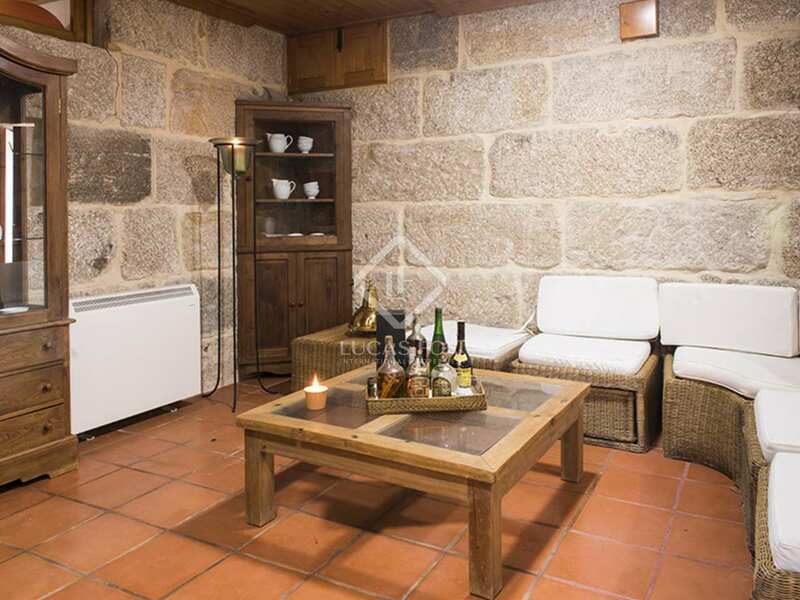 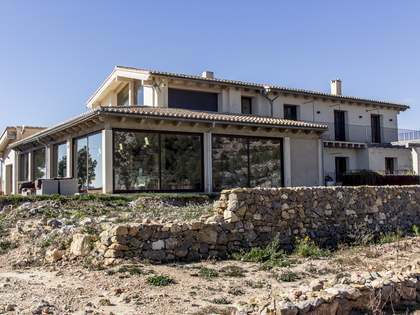 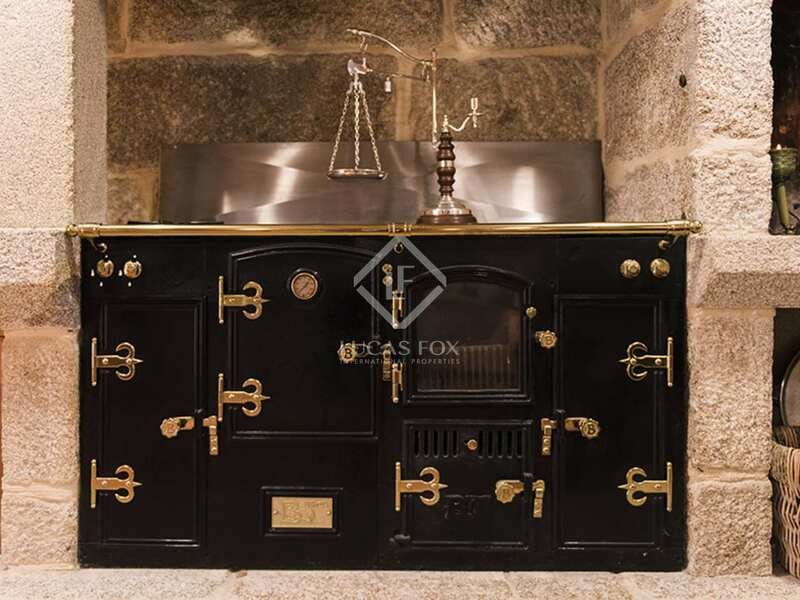 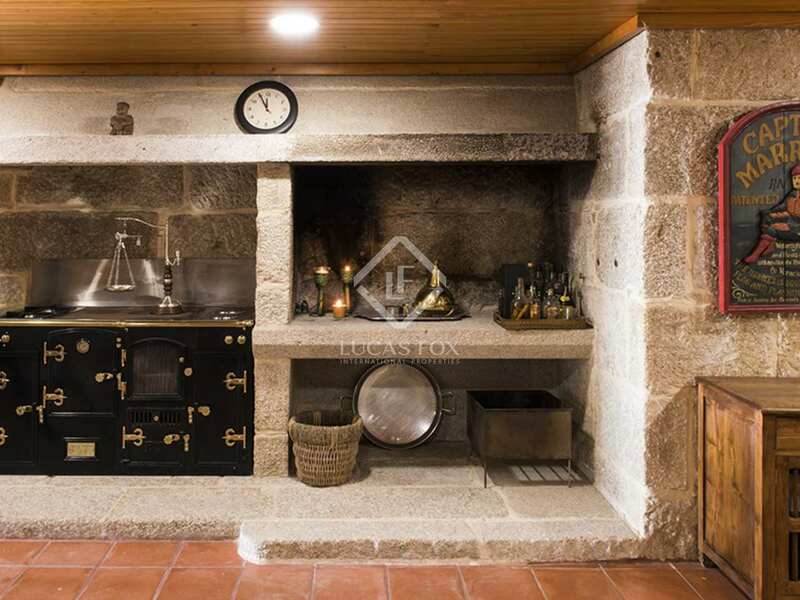 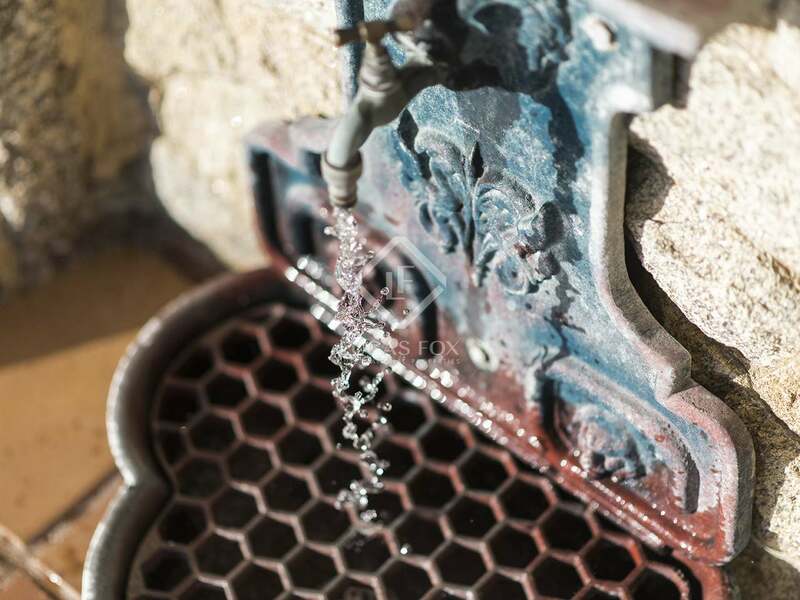 On the lower ground floor of the villa, you will find the beautiful summer kitchen with a traditional Galician style stove & oven, bar area, wine cellar, kitchenette, lounge, fireplace and dining section with direct access to the pool and garden area. 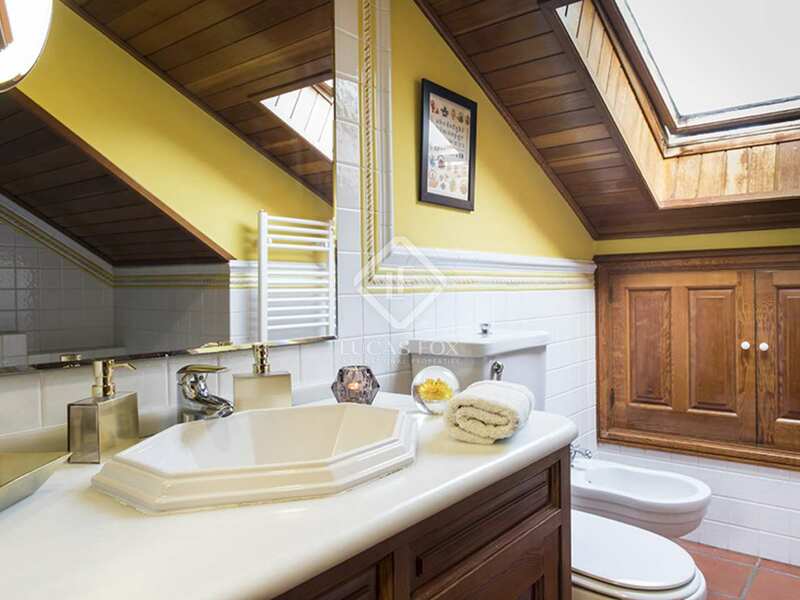 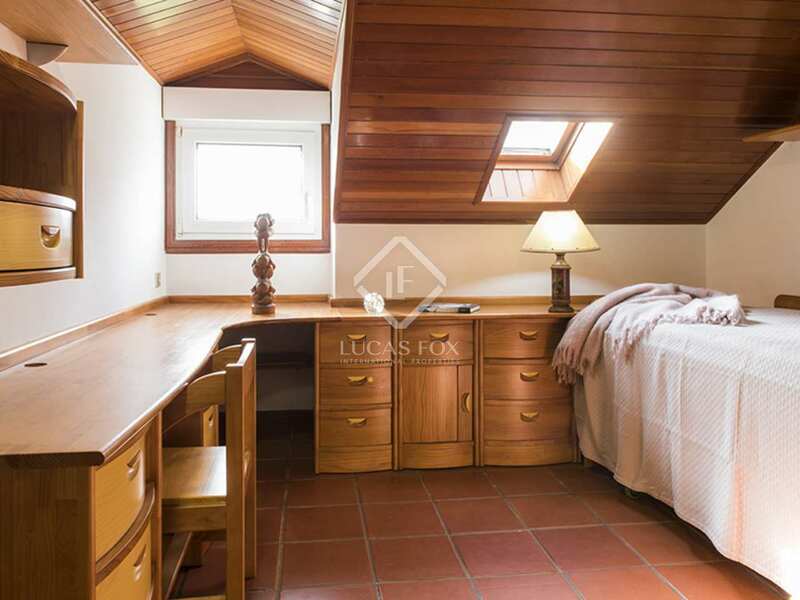 There is an additional guest bedroom with en-suite bathroom in this area. 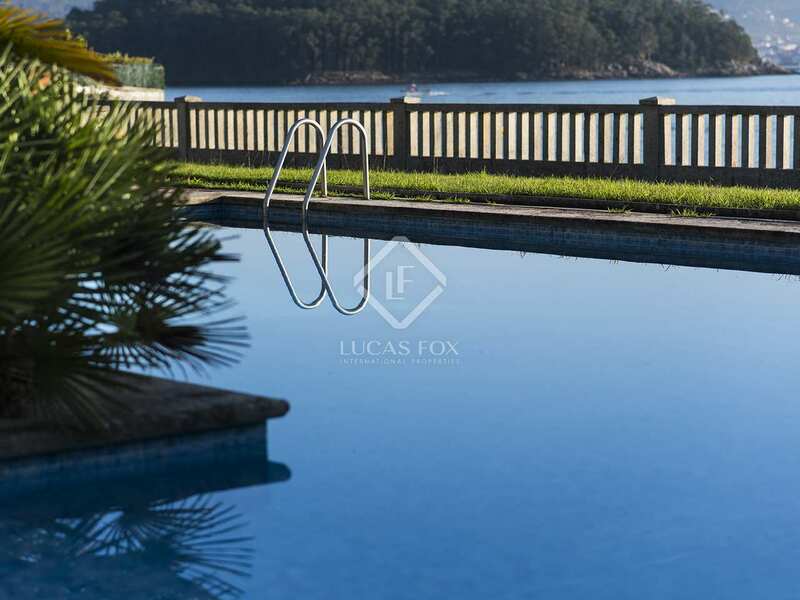 Contact us for more information about this very special property for sale in beautiful natural surroundings. 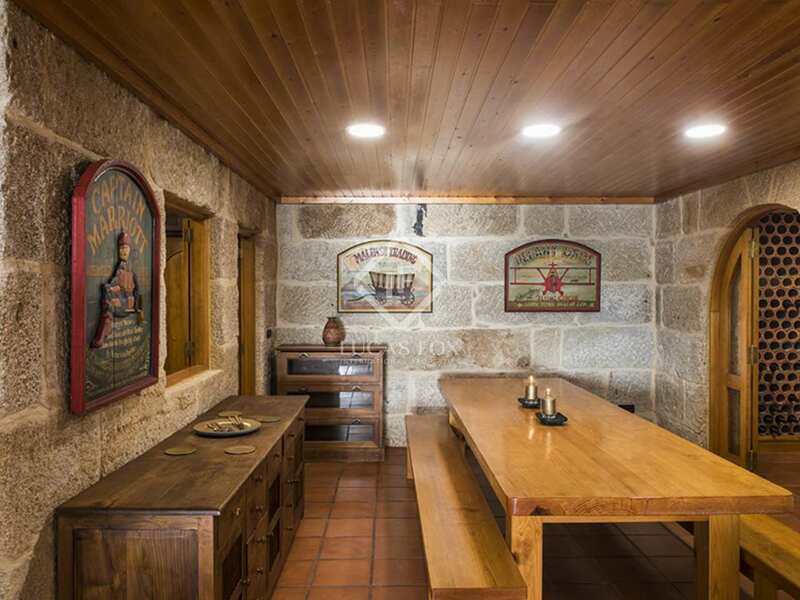 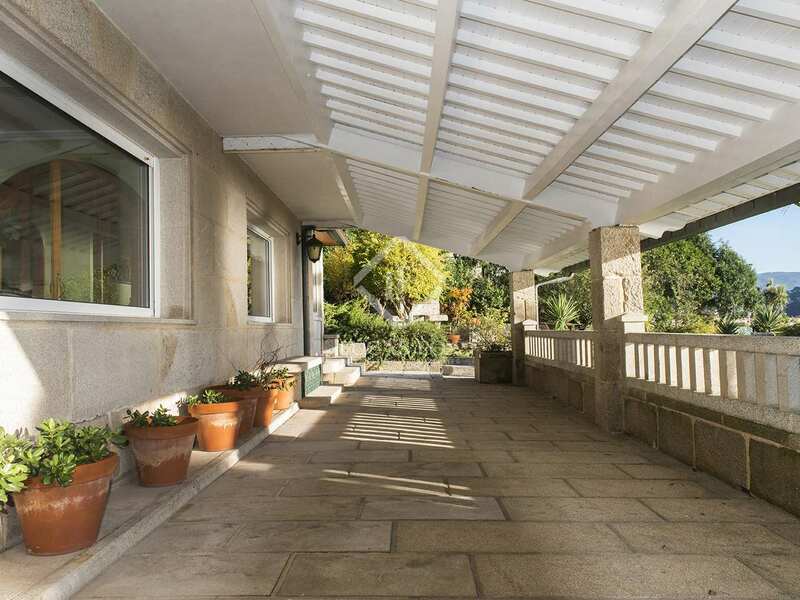 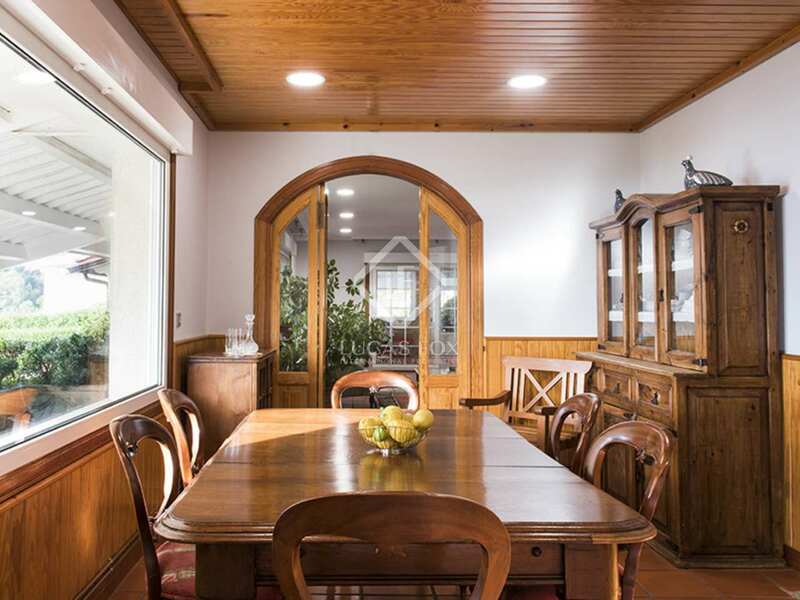 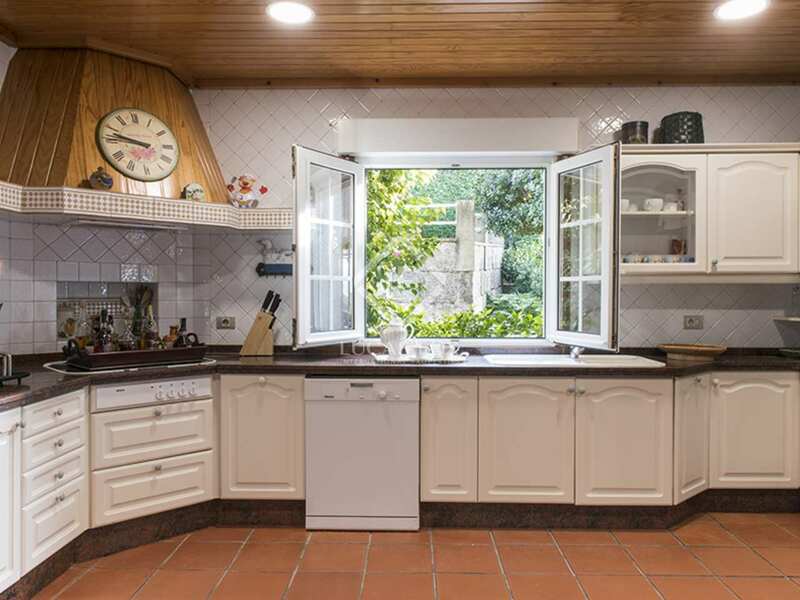 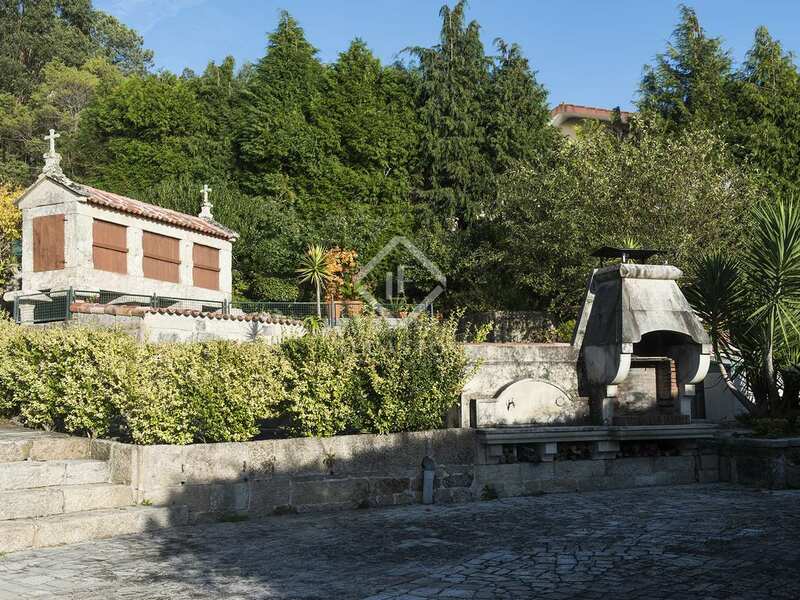 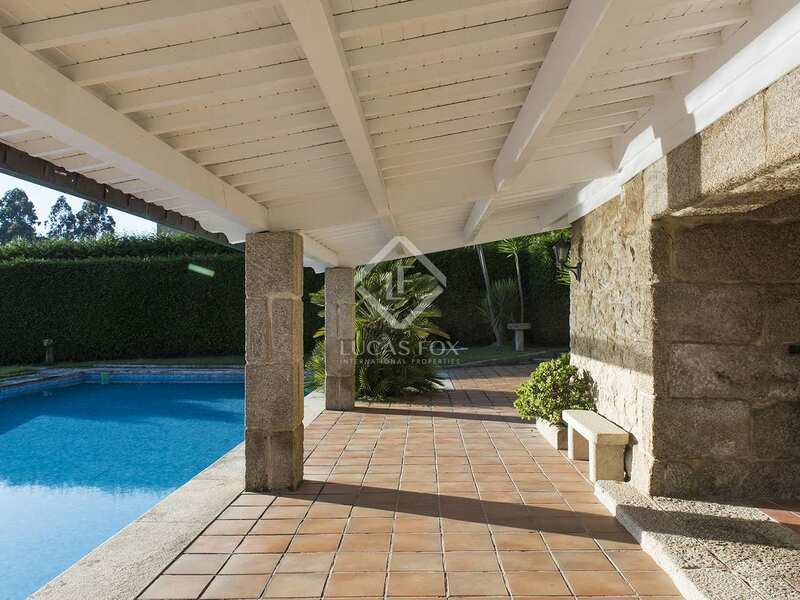 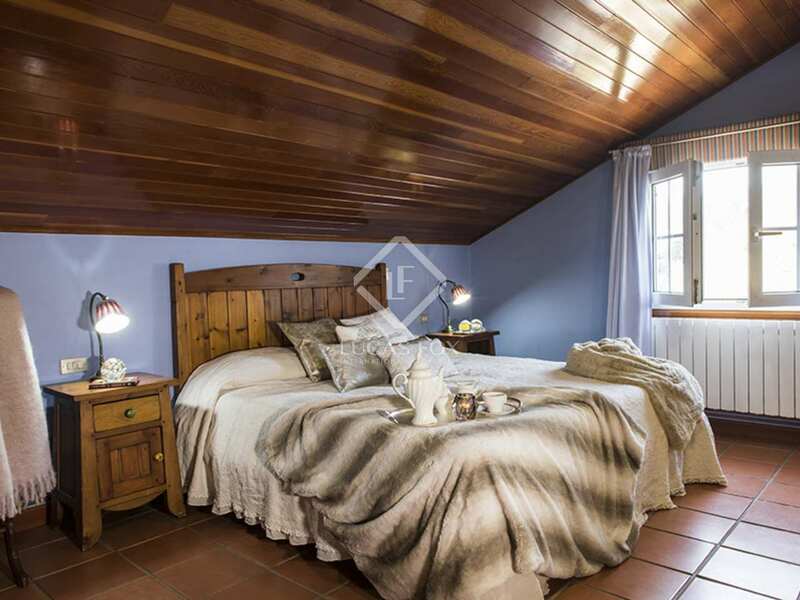 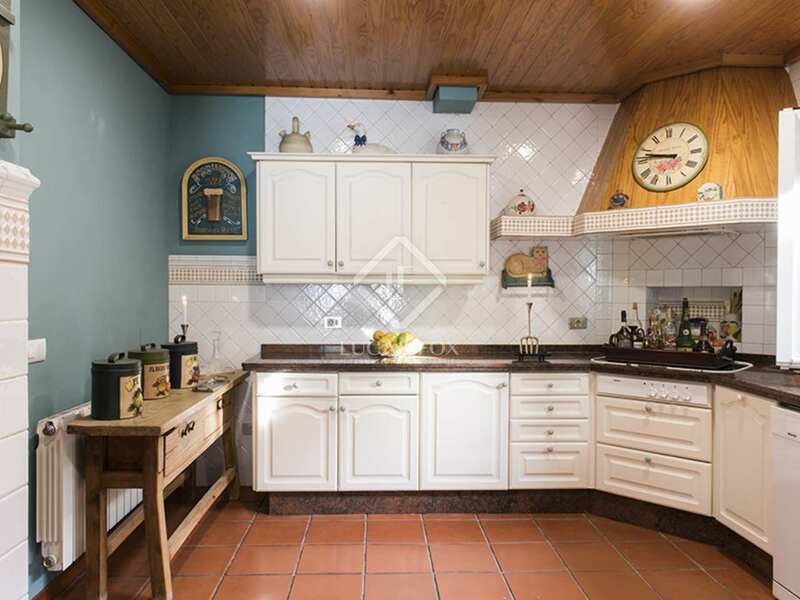 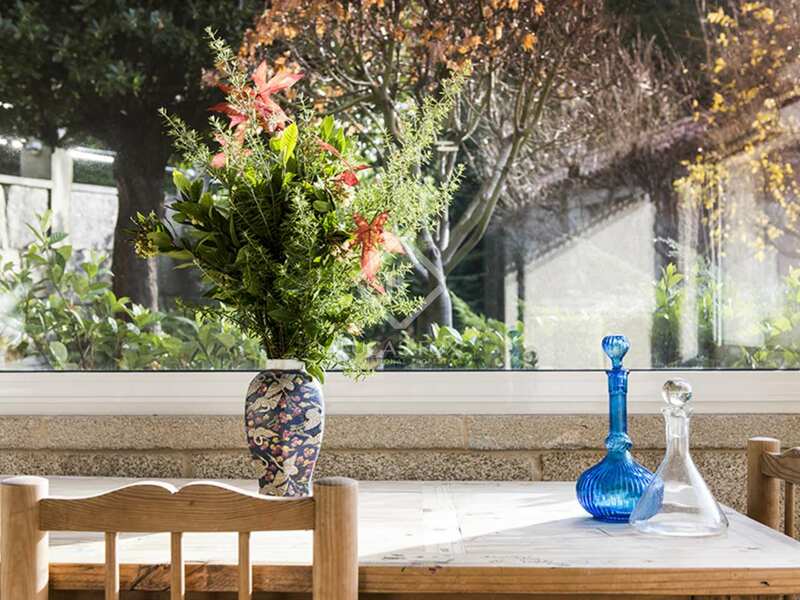 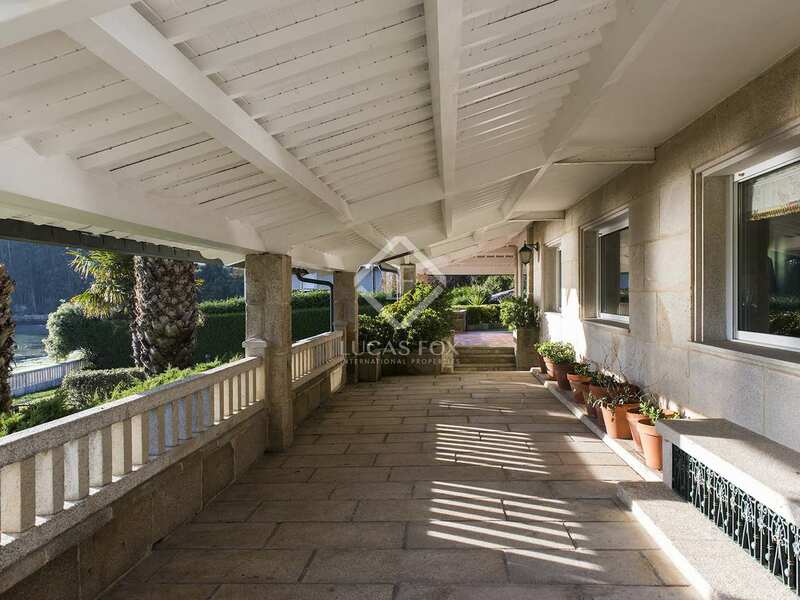 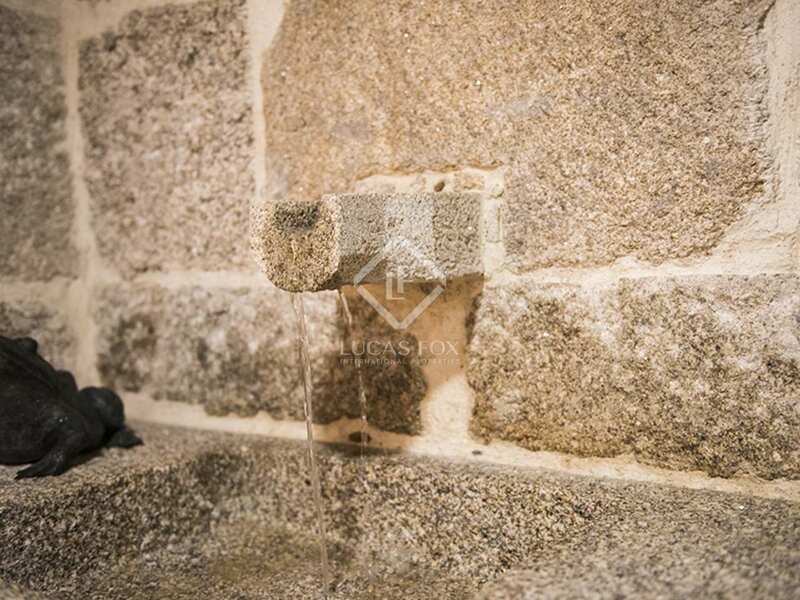 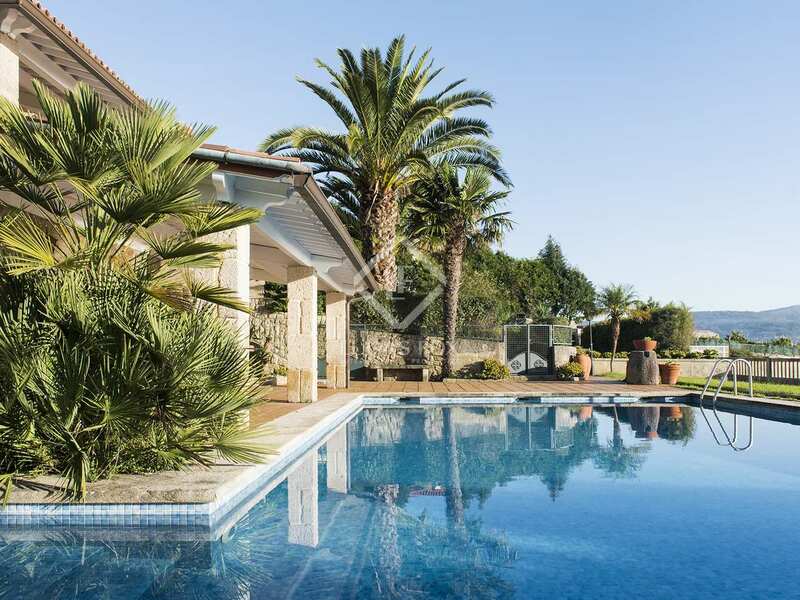 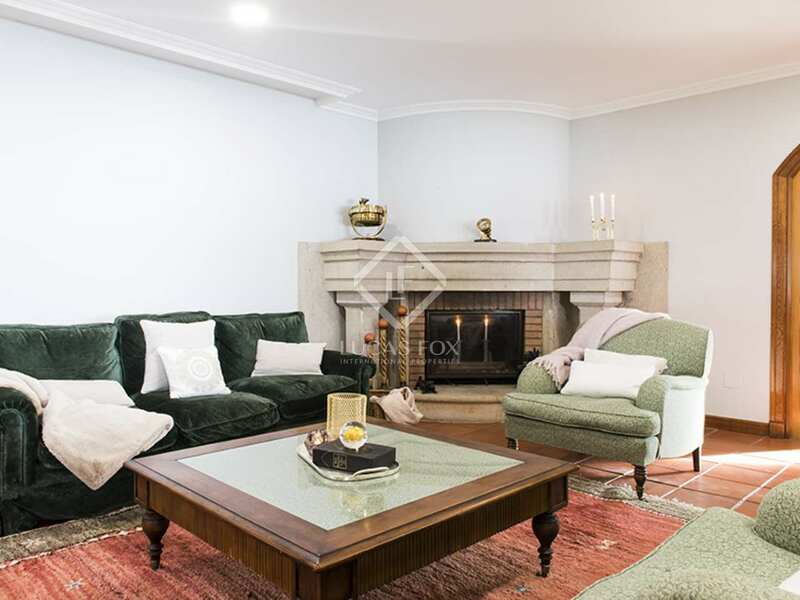 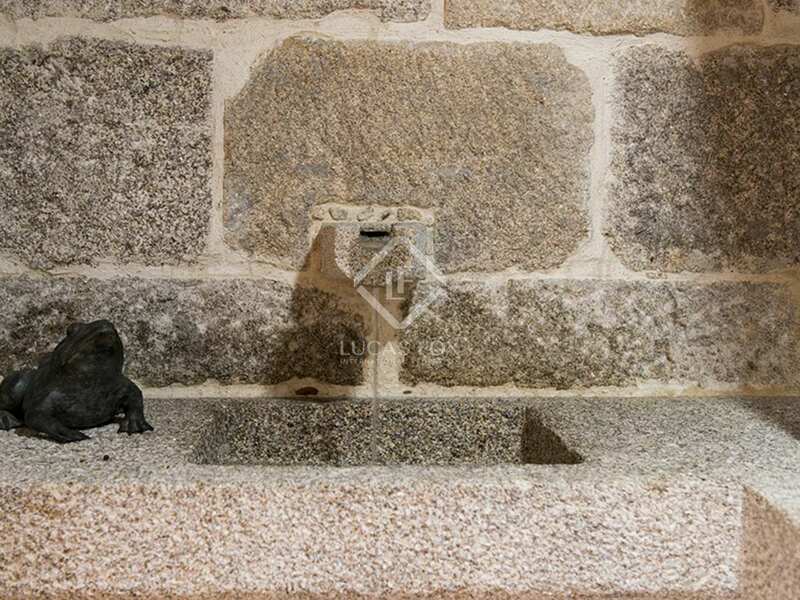 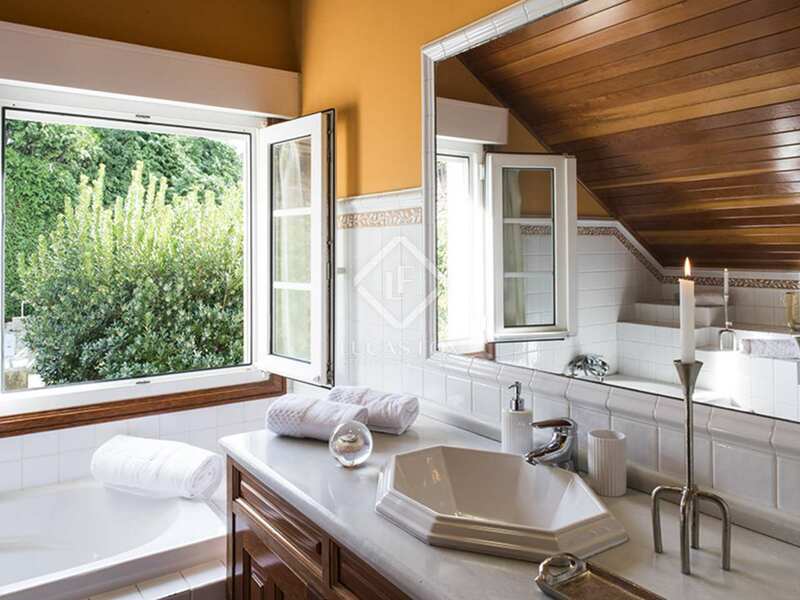 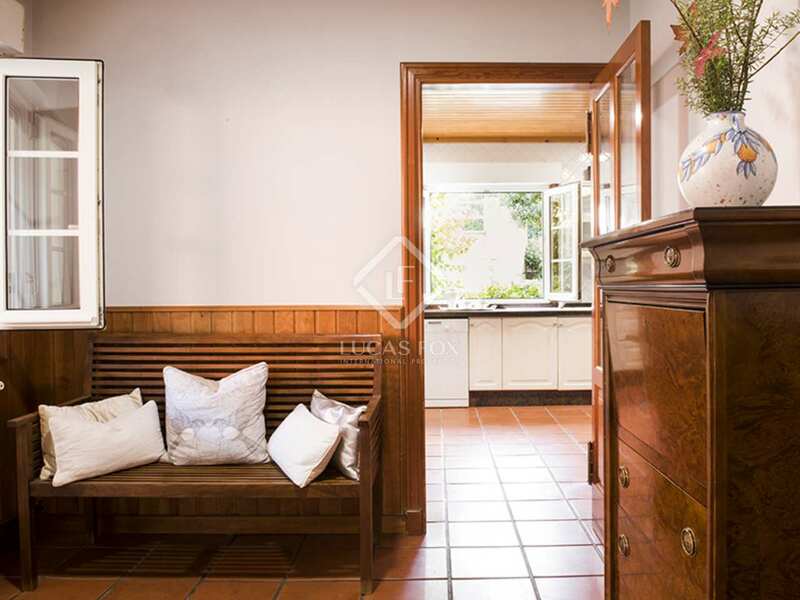 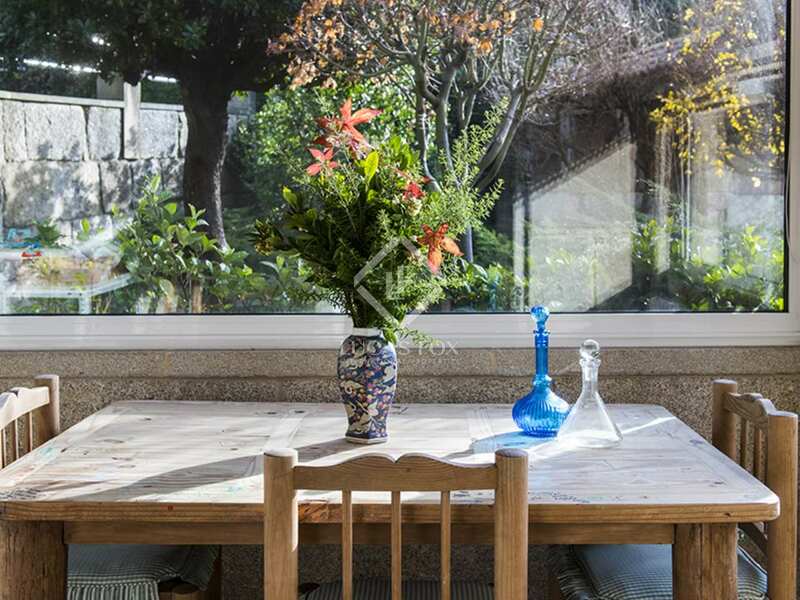 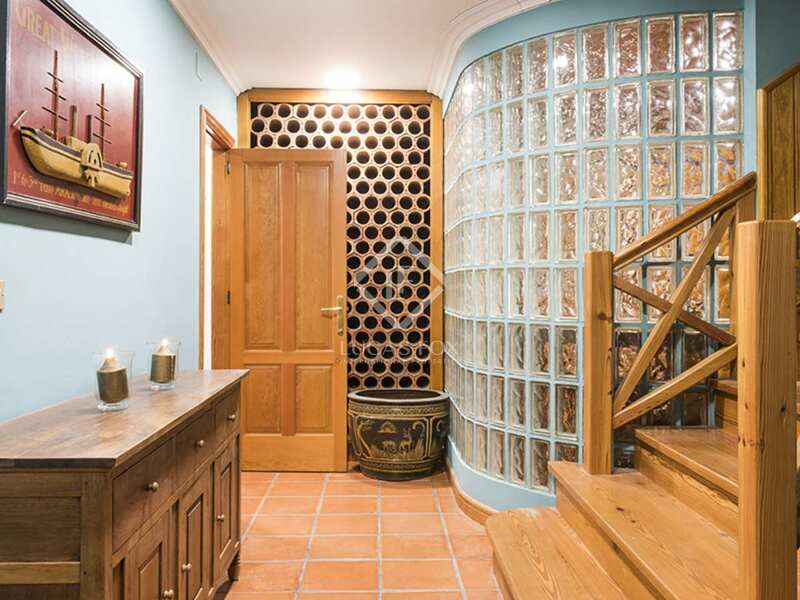 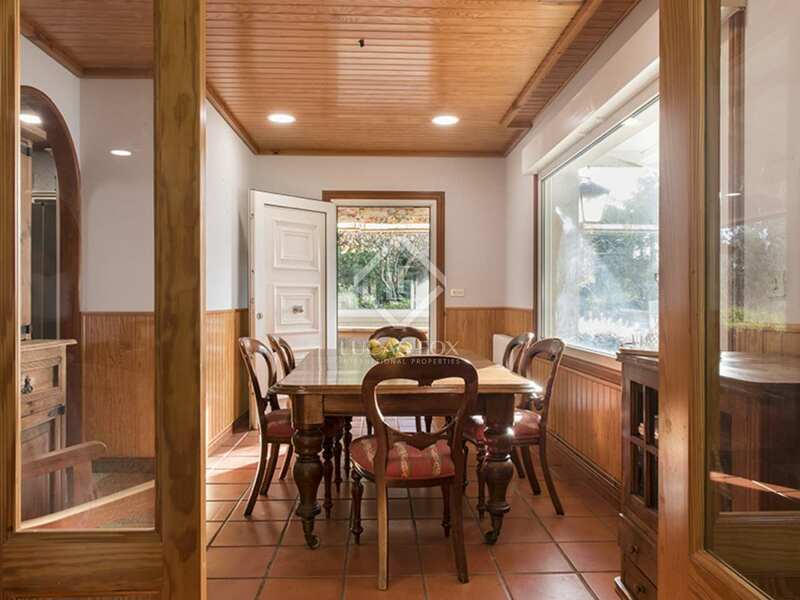 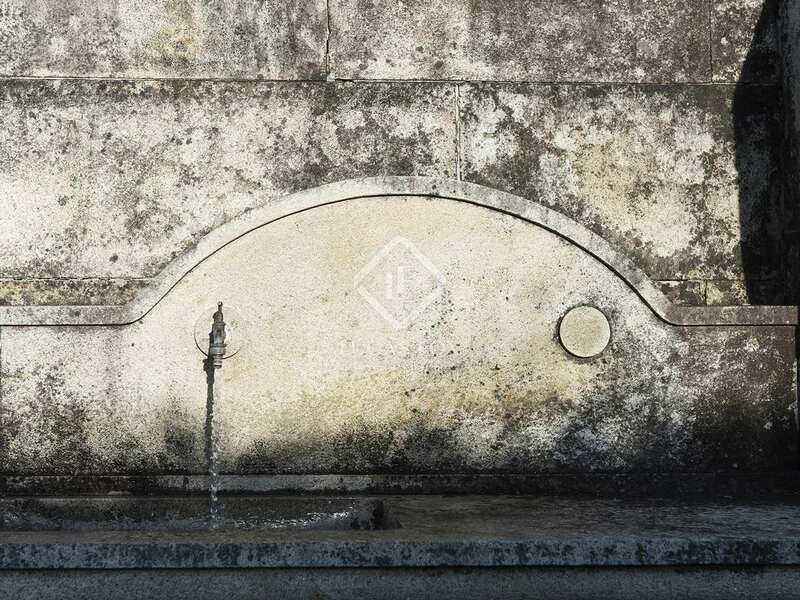 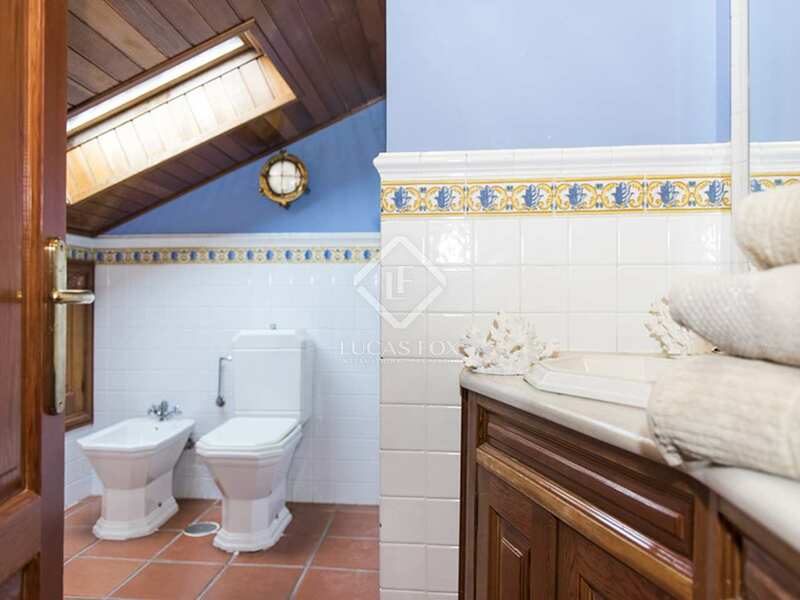 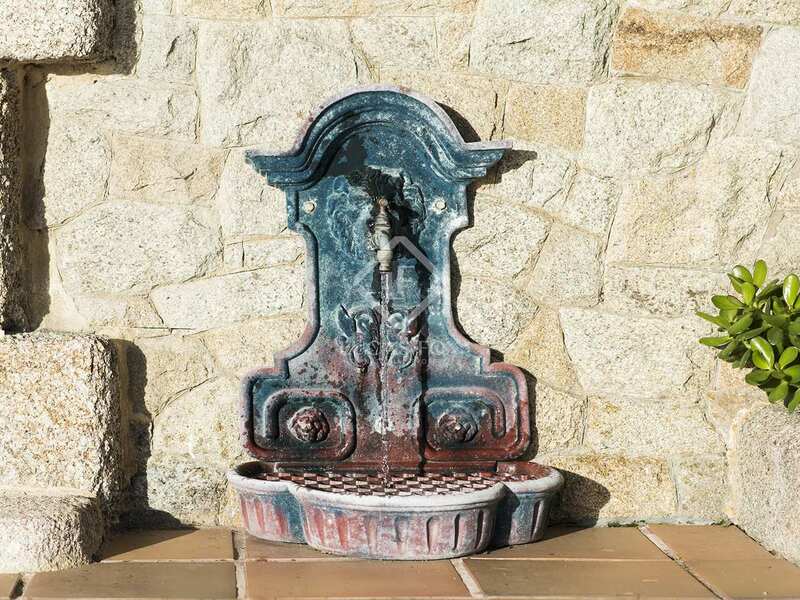 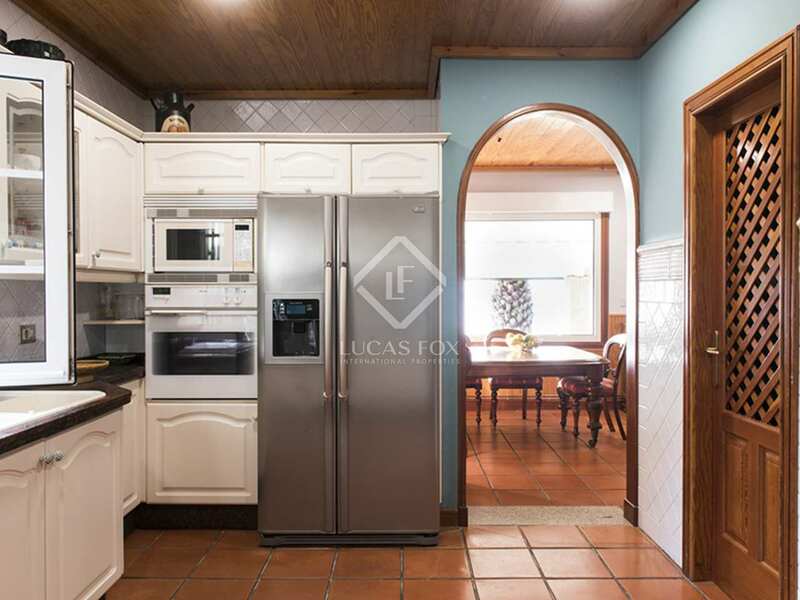 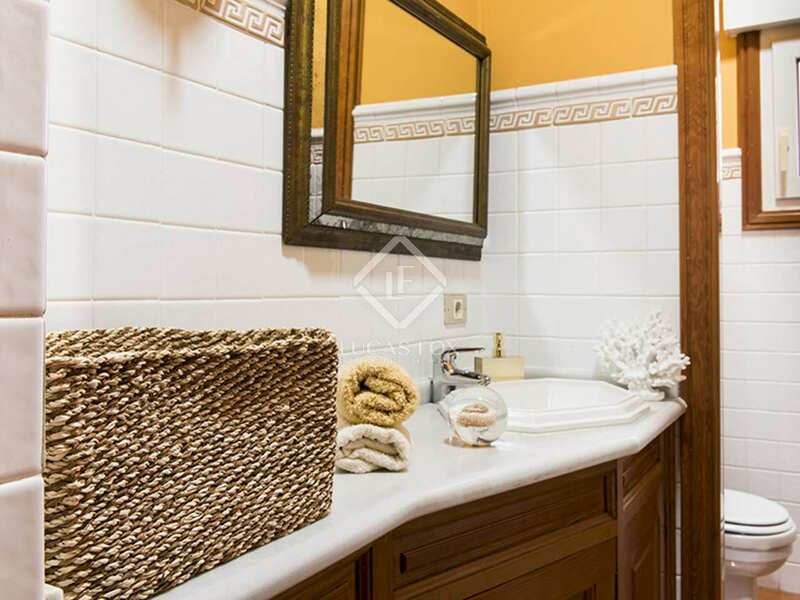 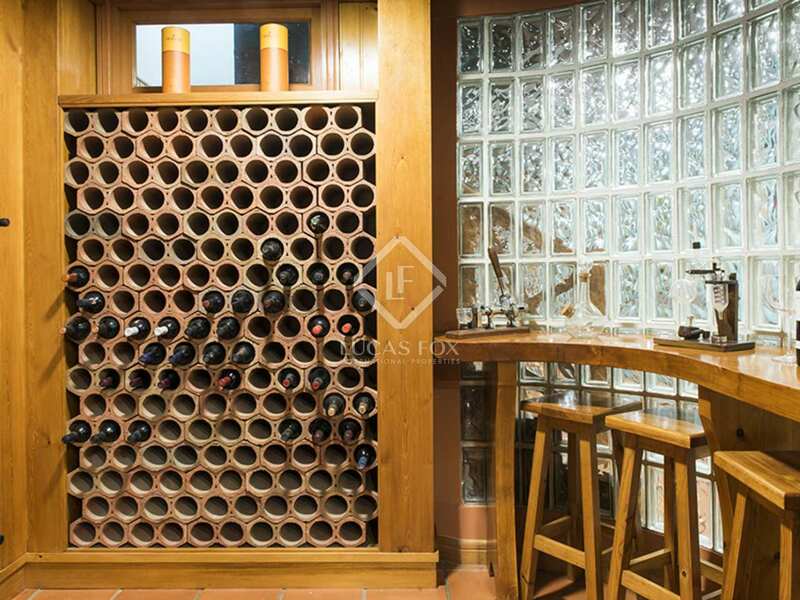 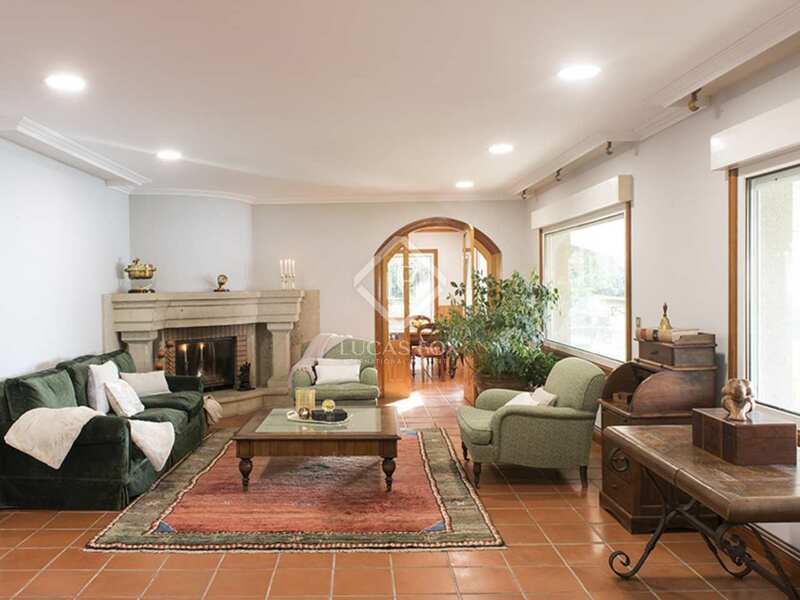 This property is in the best location within the most exclusive and sought-after area of the Chancelas and Combarro in the section of the Rias Baixas in Pontevedra. 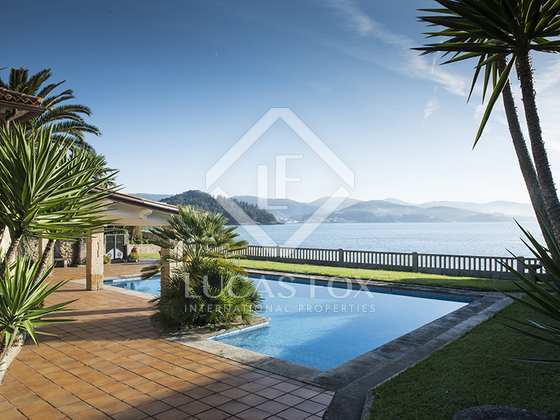 It is located by Chancelas beach and close to Combarro leisure port. 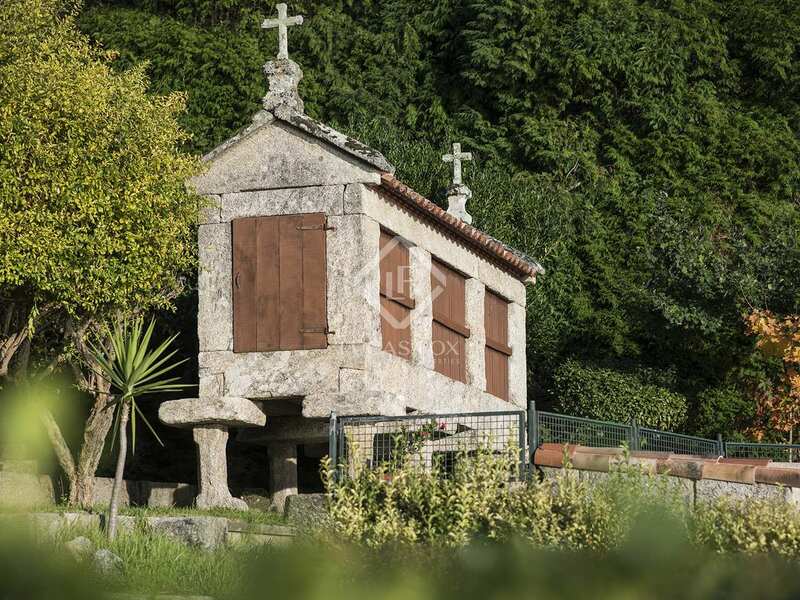 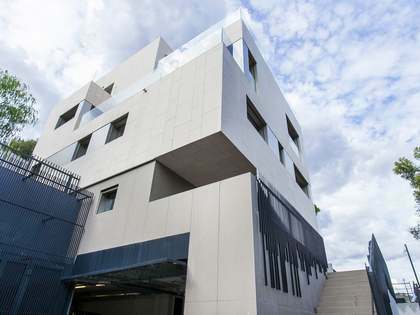 The main cities of Sangenjo (Sanxenxo) and Pontevedra are just 15 minutes away by car. 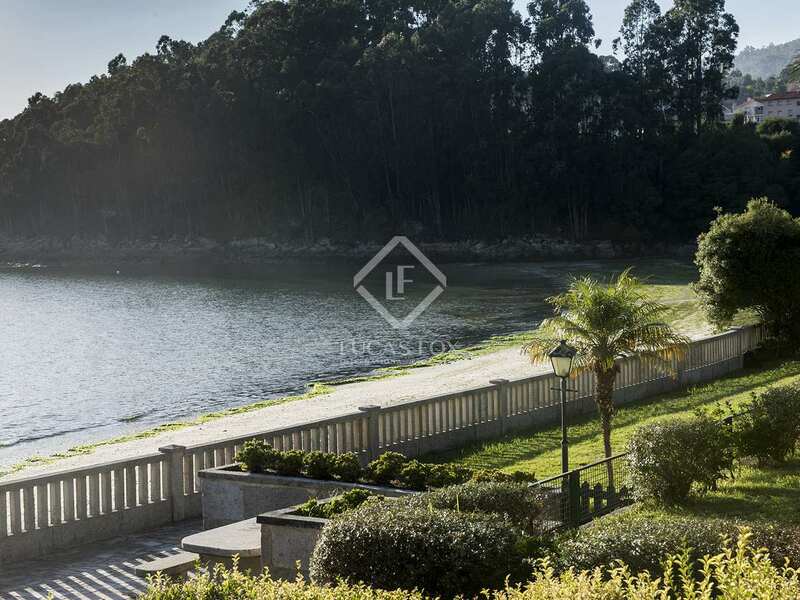 This is an area of stunning natural beauty, with hidden coves, unspoilt beaches offering endless opportunities for fun and exploration. 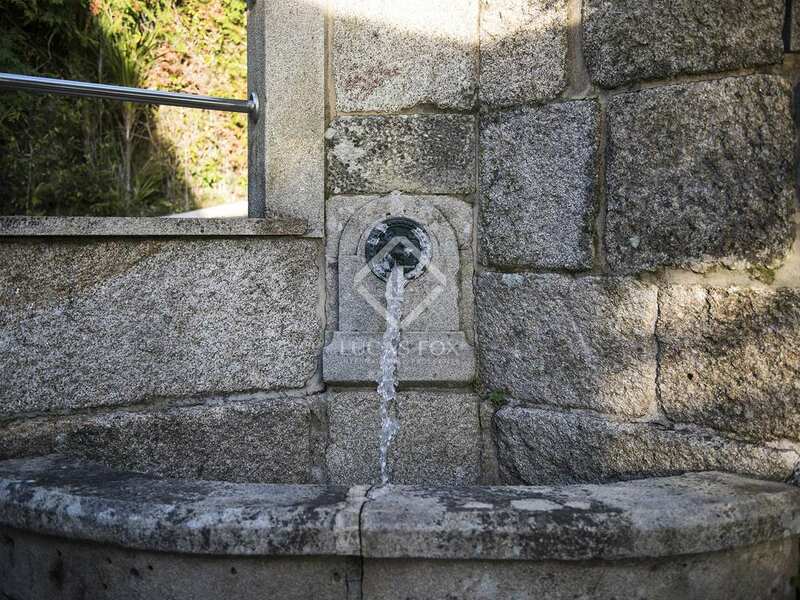 Vigo city is just a half an hour away whilst Santiago de Compostela and La Crouña are one and a half away.